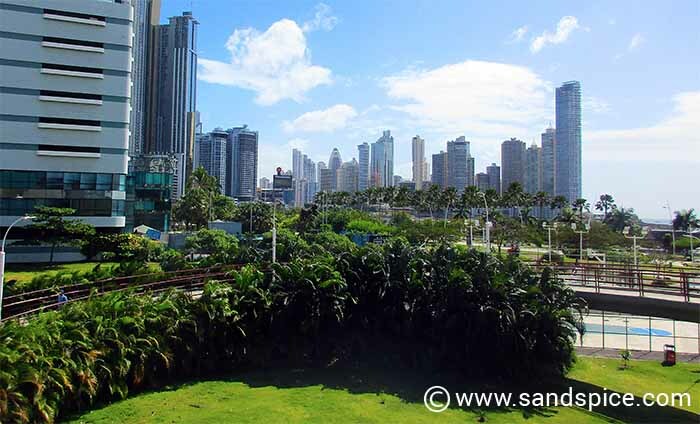 You can see a lot of what Panama City has to offer by simply walking around. The distances between most of the popular attractions are not that great. 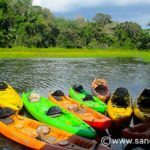 Here then is the list of our top 14 Panama City activities and attractions, most of which are reachable on foot. 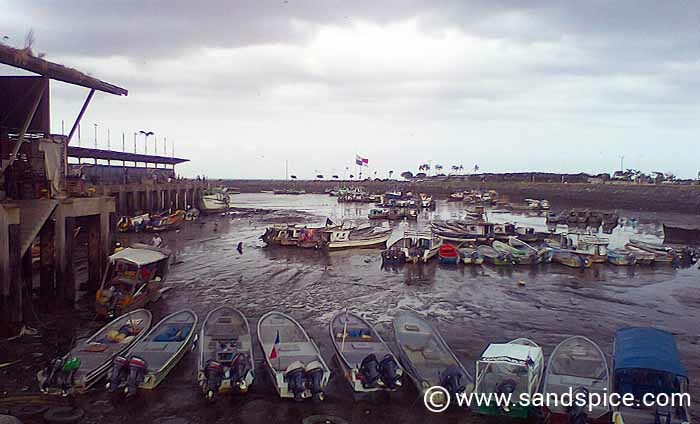 If you’re taking a boat to Taboga, the Amador Causeway is where you will embark from. Avoid the weekends. Otherwise, like us, you’ll likely find all boat tickets sold out. The Causeway itself is very popular with cyclists and runners. It also provides great views of Panama City. Don’t try and walk there from the city, though. The route is long and complicated, and takes you through some areas you might be better avoiding on foot. 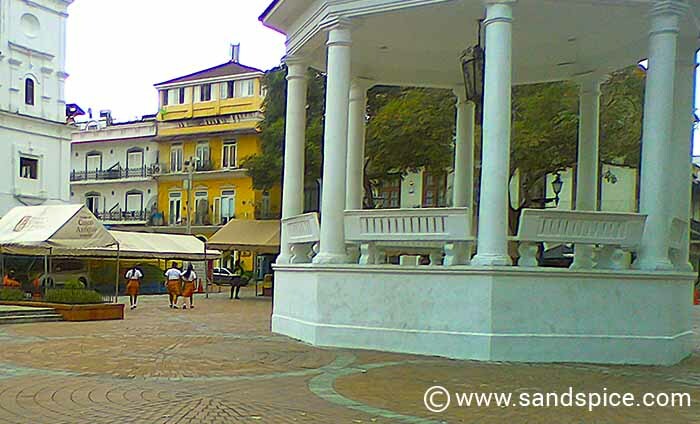 The old town of Panama is full of character and photo opportunities. Again you need to be careful not to wander too far into the run-down areas surrounding the centre. We noticed a very heavy police presence around the streets during the daytime, which should be sufficient warning. Don’t miss Rene’s Cafe, just off the main Cathedral square. 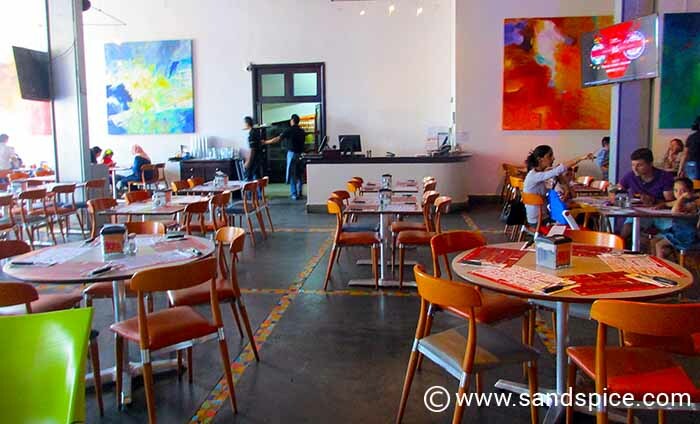 This is a Bolivian/Panimanian restaurant open for lunch (12-15pm) and dinner (18-21pm). There are just 2 choices on the menu: Lunch ($10) and Dinner ($25). In both cases, you are treated to a succession of small, varied and tasty dishes (there are just more of them if you order dinner). A nice touch is that you can order ‘Lunch’ at dinner time, and vise-versa. 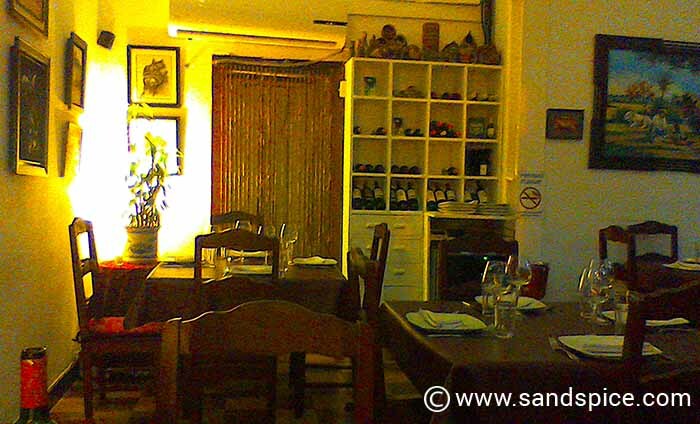 Service is good, wine is reasonably-priced and there are some interesting paintings to admire. Apparently, if you’re a bit brassy you can pretend you’re staying at this hotel and con your way up to the top floor to admire their eternity pool and bar. We actually couldn’t be bothered. 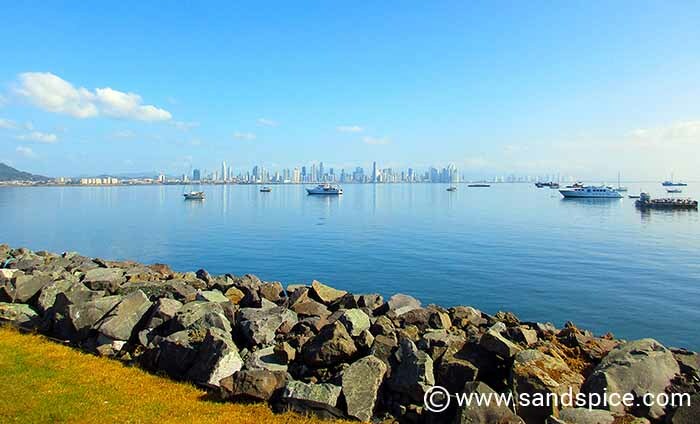 In any case, most afternoons the Panama City skyline clouds up, so what’s to see? We’re not really convinced that this should be in the top 14 – or any list for that matter. 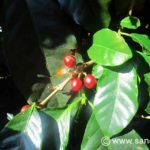 However some people, especially Panamanians, seem to rate it. You’ll need to be up early to catch the 8:30am ferry from the Amador Causeway. 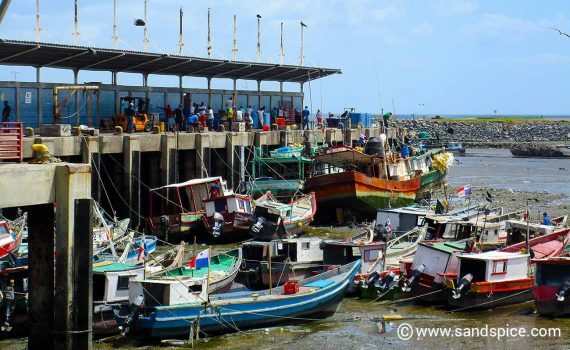 This slow boat will get you to Tabogo in an hour or so. Let’s hope you enjoy your stay, because it will be another 6 hours before you can take the first ferry back. There are 2 beaches to visit, one slightly less cluttered with filth and rubbish than the other. Forget snorkeling; You can’t even see your hand in the murky water. If you’re short on time, there are far better ways to waste your money in Panama City. The Jungle Land Experience is pretty much a ‘must do’ activity if you visit Panama City. You’ll get to spend the whole day visiting the canal and enjoying a variety of Jungle land and water experiences, hosted by Captain Carl. Note however that you’ll have to book and pay in advance online if you want to join in the fun. 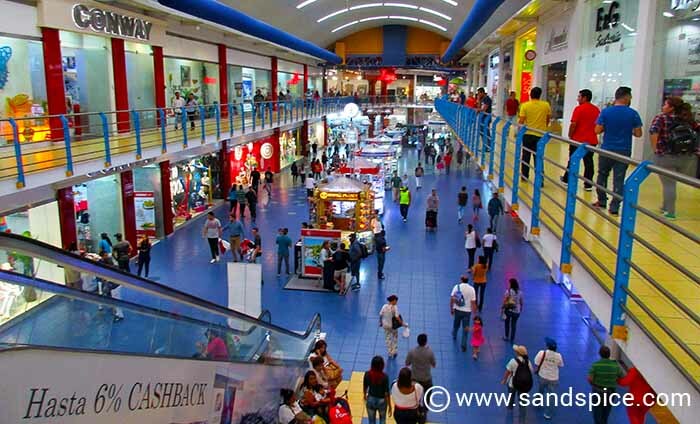 The biggest shopping mall in Latin America is also the location of the central bus station. 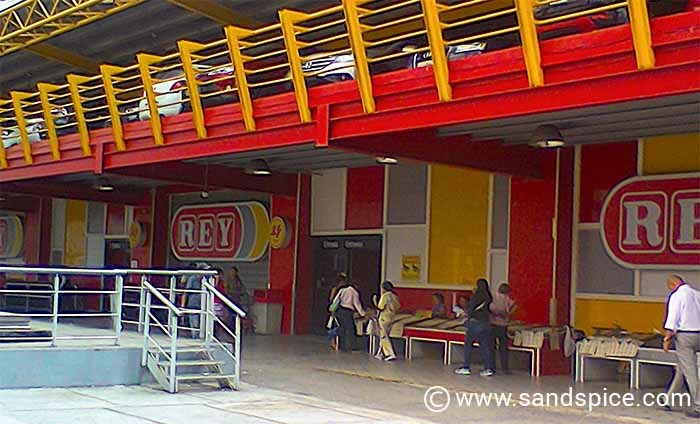 Albrook’s is the last stop on the metro line. It’s worth a visit if you need some retail therapy and don’t mind the crowds. It’s also unavoidable if you need to catch a bus out of town. 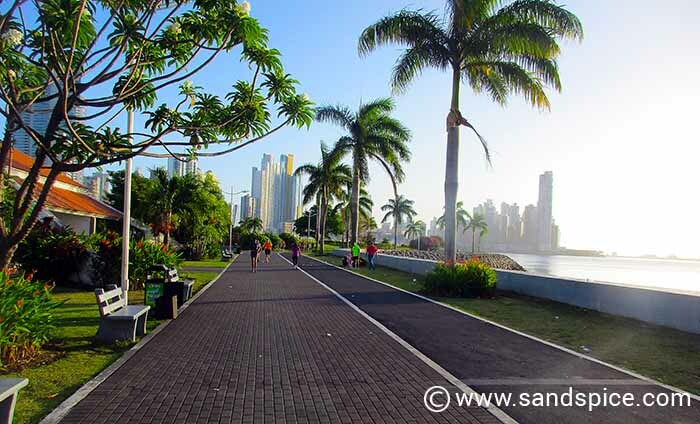 The Panama City promenade offers you an unbroken 2 km stretch of beautifully maintained walkways and recreational areas. Best go early before it gets too hot. If you go in the early morning after a Friday or Saturday night, you’ll get to see how the locals wantonly abuse and litter this beautiful area. Fortunately, each morning the city council sends out its green elves to clean up the mess. 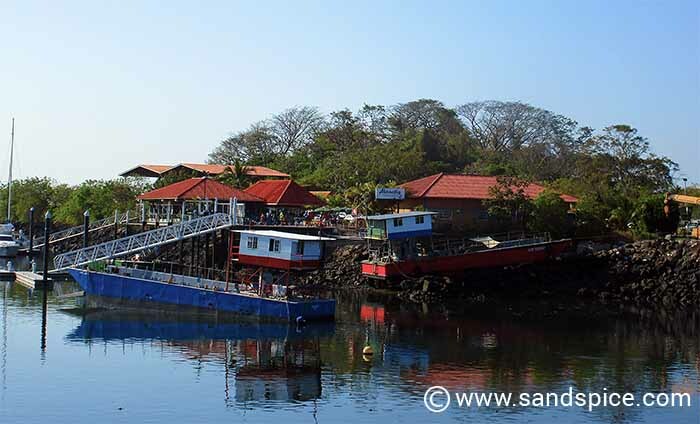 Yet another tourist trap mentioned in all self-indulgent Panama City travel articles. Yes, go and eat your overly-sour ceviche with a balboa beer, and pay the ‘gringo’ rate for the privilege. Ignore the hawkers trying to drag you into their bars with blatantly false promises. 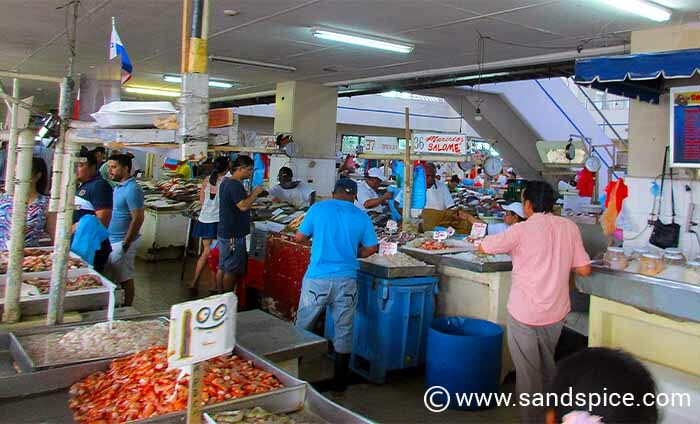 Instead walk around the back and into the large fish market hall. There (if you really do want to eat it) you can buy twice the amount of ceviche at half the price. We liked this restaurant so much we visited it three times. You’ll find it on Via Argentina. 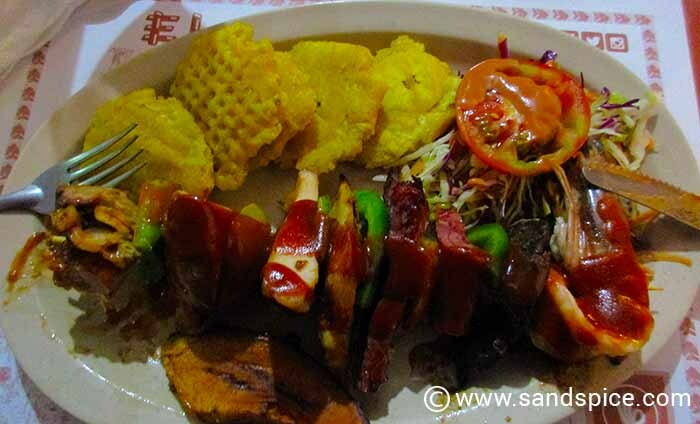 Here, we enjoyed a taste of authentic Panamanian food with their Fiesta Panamaña and Mixed Grill surf-n-turf style. All for $38 for two, including a bottle of their own red house wine. You’ll find quite a few other places to eat on this street, including an Indian restaurant. 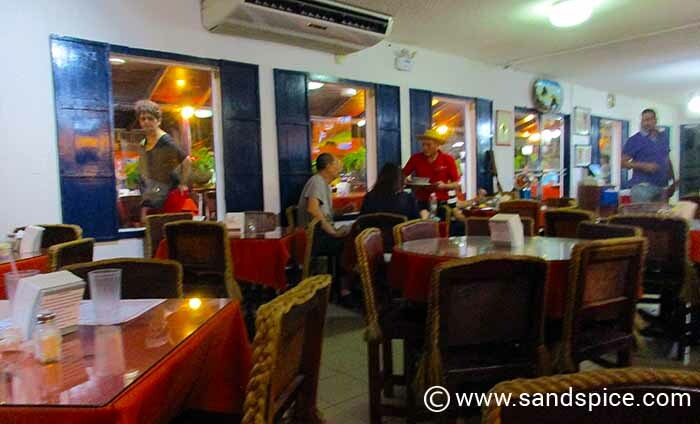 However, none of the other restaurants appear to be as popular with both locals and foreigners as the Trapiche. The closest metro stop is Via Argentina. Close to metro Iglesia Del Carmen, La Pappa is not as good value as Trapiche, but still not too bad, and it generally gets good reviews. We can’t rate this place too highly. Easily one of our favourite haunts in Panama City. If you’re after some serious food shopping, or just a takeaway meal, Reys is the place – it never closes. Unbeatable selection, prices and quality. Not far from Iglesia Del Carmen. Hey, don’t knock it! If you want some souvenirs without breaking your budget, this is the place to go. Don’t wait till you get to the airport to spend your last few dollars: They’ll go a lot further here. 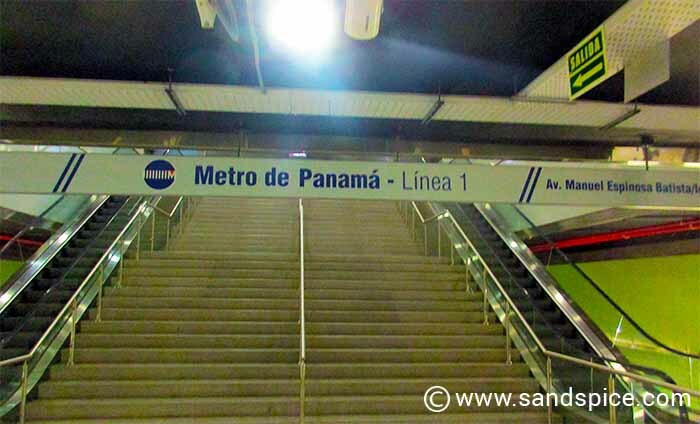 OK, so we didn’t make it to Panama Viejo… Sorry. It’s a good few kms detour east of the city. The metro line doesn’t go anywhere near there, and we just didn’t have the time to work out the bus schedules. 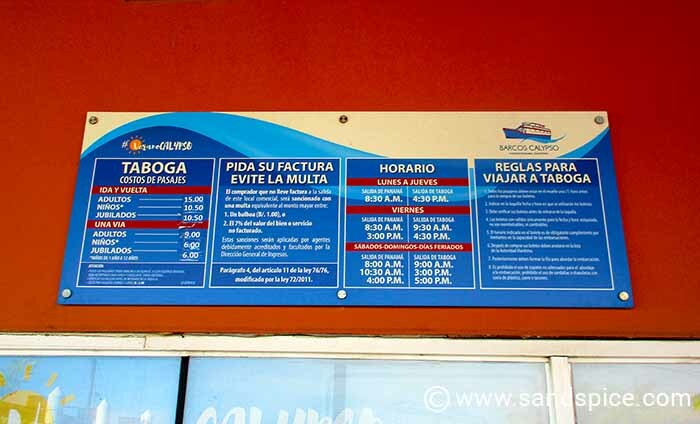 Although taxis aren’t that expensive ($4 to $5 to go almost anywhere in the city), the single-line metro costs just 35 cents per trip. You can buy a metro card from a machine in any metro station for just $2. 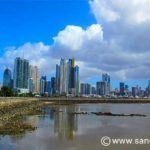 And how long should you plan to stay in Panama City? In our opinion, 4 full days max should do it. Unless, of course you also want to look at property for when you retire (there’s a large foreign retirement community in Panama). 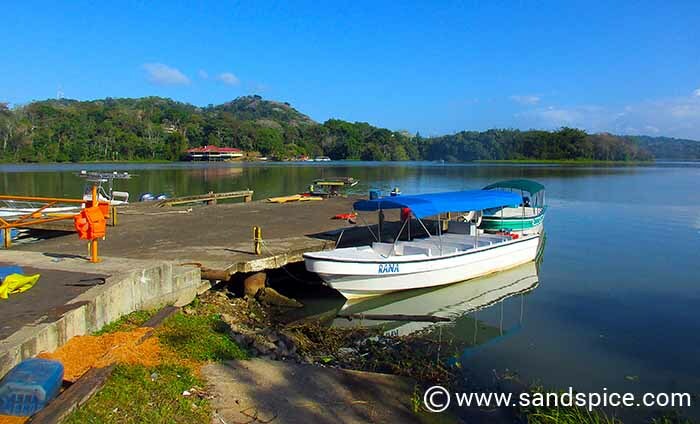 In this case, you also need to check out Boquete and some of the small islands for sale around Bocas Del Toro.